Although the side effects and risks of homeopathic treatments are not well researched outside of observational studies, some general points can be made about the safety of these treatments. A systematic review found that homeopathic remedies in high dilution, taken under the supervision of trained professionals, are generally considered safe and unlikely to cause severe adverse reactions. Liquid homeopathic remedies may contain alcohol. The FDA allows higher levels of alcohol in these remedies than it allows in conventional drugs. However, no adverse effects from alcohol levels have been reported to the FDA. Homeopaths expect some of their patients to experience homeopathic aggravation (a temporary worsening of existing symptoms after taking a homeopathic prescription). Researchers have not found much evidence of this reaction in clinical studies; however, research on homeopathic aggravations is scarce. Homeopathic remedies are not known to interfere with conventional drugs; however, if you are considering using homeopathic remedies, you should discuss this with your health care provider first. There are currently no uniform licensing or professional standards for the practice of homeopathy in the United States; the licensing of homeopaths varies from state to state. 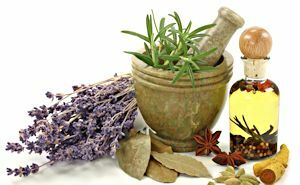 Usually, a homeopathic practitioner is licensed in a medical profession, such as conventional or osteopathic medicine. Homeopathy is also part of the medical education for naturopathy. Licensure as a homeopathic physician is available only to medical doctors and doctors of osteopathy in Arizona, Connecticut, and Nevada. Arizona and Nevada also license homeopathic assistants, who are allowed to perform medical services under the supervision of a homeopathic physician. Some states explicitly include homeopathy within the scope of practice of chiropractic, naturopathy, physical therapy, dentistry, nursing, and veterinary medicine. National certification may be obtained through organizations such as the Council for Homeopathic Certification, American Board of Homeotherapeutics, and the Homeopathic Academy of Naturopathic Physicians. The U.S. Department of Education, which officially recognizes some CAM organizations for certification purposes, has not recognized these organizations; however, members of the homeopathic community consider certification a way to help set education and competency standards for practicing homeopathy. Do not use homeopathy as a replacement for proven conventional care or to postpone seeing a doctor about a medical problem. Look for published research studies on homeopathy for the health condition you are interested in. If you are considering using homeopathy and decide to seek treatment from a homeopath, ask about the training and experience of the practitioner you are considering. Women who are pregnant or nursing, or people who are thinking of using homeopathy to treat a child, should consult their health care provider. Tell all your health care providers about any complementary and alternative practices you use. Give them a full picture of all you do to manage your health. This will ensure coordinated and safe care. For tips about talking with your health care providers about CAM, see NCCAM’s Time to Talk campaign.